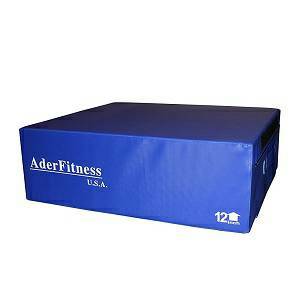 Ader Fitness soft PlyoMetric boxes are a safer alternative to the traditional wooden or steel versions which can cause serious injury and athletes not to push their limits on taller boxes. Soft Platform solves both these problems and allows users to maximize efforts without concern of injury. The Ader soft Plyo Boxes are stackable, have heavy Velcro around all four sides and are covered with a heavy duty vinyl. The PMPF06FOAM can be used for a variety of workouts including box jumps, squat depth training, step ups and more. Large 36"W x 30"L footprint for ultimate stability and safety. This is several inches larger than other brands that are only 28" or 30" on the longest side. 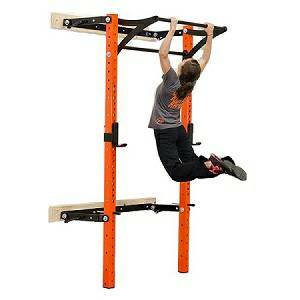 Get a whole set and stack them to any height in 6" increments, as high as you're capable of jumping. There is no height limit. Other adjustable plyo boxes, whether they have telescoping legs or are the "cube" style, have a narrow height range and are never high enough for the max height attempts of skilled jumpers. Additionally, the cube style is too narrow and unstable when you flip it around to the tallest side. Foam may sound soft, but these will work just fine even for 300 lb+ users and will not feel too squishy or unstable no matter what you do. Other designs have velcro strips on the top and bottom of each box, which makes it super quick to attach, but there are two problems with that. One, you're jumping onto velcro and tearing it up with your shoes. Two, the velcro adds a squishy layer between the vinyl that compromises stability. This side flap velcro design eliminates those issues and only takes an extra moment to secure into place.